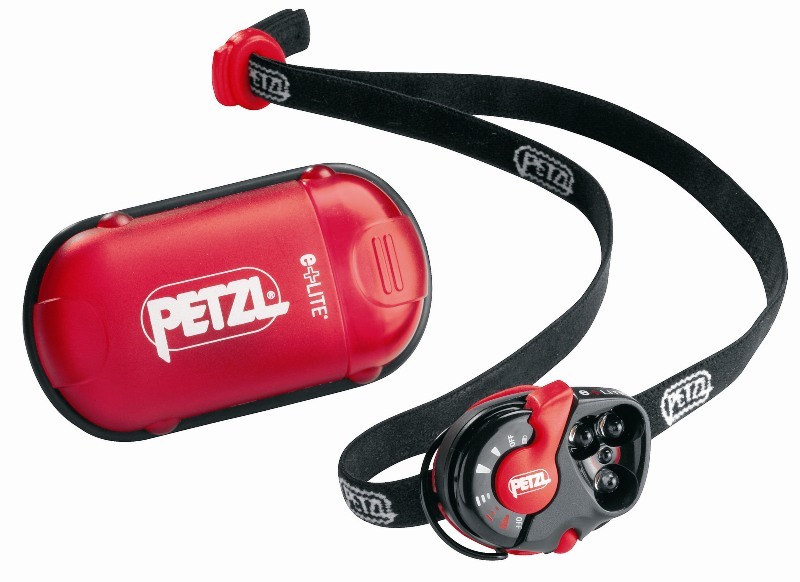 The e+LITE headlamp is designed for any situation. It is ultra-lightweight, comes in a hard case and can easily be stored with its batteries in a backpack, jacket, or emergency kit for up to 10 years. It provides white or red lighting in continuous or blinking mode and can easily be attached with its elastic band and clip. For emergencies, the e+LITE is equipped with a long-range whistle that can signal one’s position for rescue (the SOS Morse code illustration on the whistle). Can be worn on the head, around the wrist or neck or attached to thin-edged objects with integrated clip.